Employees who leave their employment typically fall under two categories: Employees who quit, and employees who have been terminated. What if an employee had to leave their position due to another reason? Sometimes, an employee may experience a drastic change in their workplace that could be seen as constructive dismissal. Employees who have been constructively dismissed may be entitled to compensation as a result of the change. In Potter v. New Brunswick Legal Aid Services Commission, constructive dismissal essentially occurs when one of two things happen: 1) A fundamental term of an employment contract has been breached; or 2) A cumulative effect of past acts by the employer has created a negative workplace environment. In certain cases, an employer may want to make a change to the terms of an employee’s employment. These changes can affect the way an employee works such as: the number of hours, the amount of money and changes in shifts, location and/or position. If an employer is looking to make significant changes, they must provide the employee with sufficient notice prior to their implementation. The easiest way for an employer to change an employment contract is to simply ask the employee whether they approve of any changes. In short, the Wronko analysis does not change or purport to change the law established by the Supreme Court in Farber, which affirmed that a fundamental change does not amount to a constructive dismissal where the employee provides the employee with reasonable notice of the change. 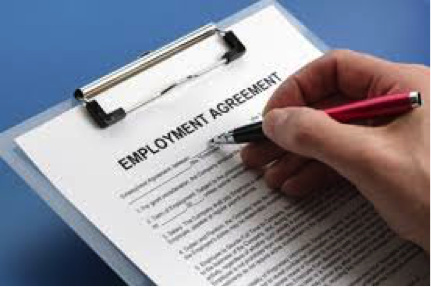 Any changes to the employment contract that were not preceded by sufficient notice or approval may be deemed a “unilateral change.” A unilateral change is a change that occurs without the consent of all the parties involved. An employer who has implemented a number of substantial changes to the employee’s employment over a period of time could be grounds for a constructive dismissal. The courts will apply an objective test when determining whether a constructive dismissal has occurred. Would a reasonable third party in the same situation consider the change so significant that it fundamentally altered their terms of employment? If a reasonable person, under the same circumstances, could conclude that the employer no longer intended to be bound by the employment contract, he or she was likely to have been constructively dismissed. Employees who have experienced a unilateral change in their employment may ask themselves whether the change was a breach in their employment contract, and if found to be a breach, was it a fundamental change? If so, an employee may have the remedy of constructive dismissal to protect against the actions of their employer. The factors that are considered in the determination of constructive dismissal vary widely from case to case, and it is important to speak to an experience professional that can recognize the signs. Call Monkhouse Law today for a free 30 minute consultation to discuss your situation.